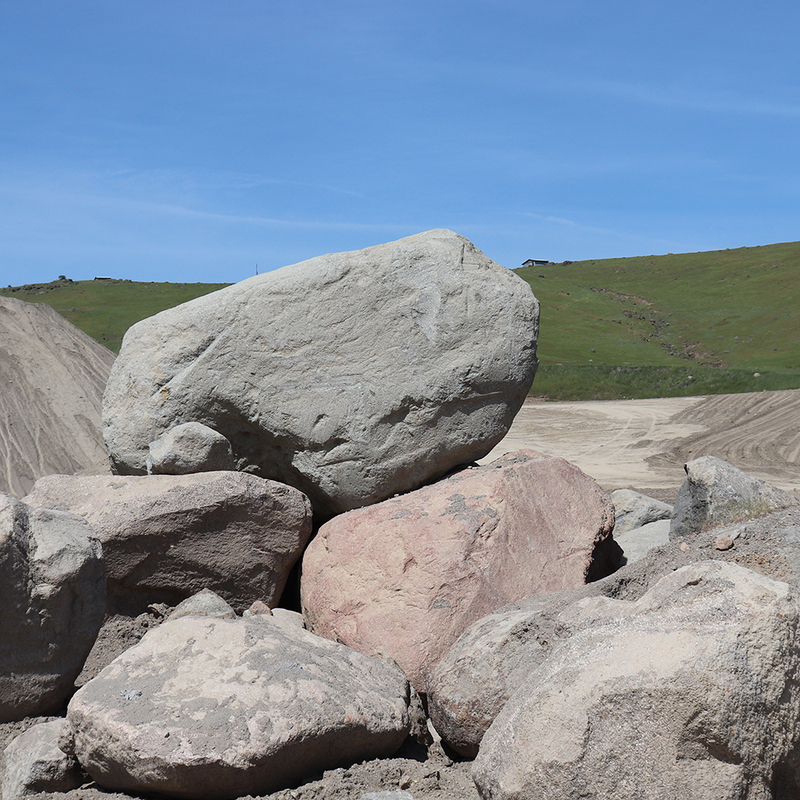 Boulders are large to massive rocks that occur naturally in the Sutter Buttes. They range from sizes from 2’ to 10’ and larger. Occasionally we will use a hydraulic hammer to reduce their size, create sharp angles and edges, and sell them for Rip Rap. Rip Rap is used in erosion control along rivers, streams and embankments. They range in color from blues and grey to an occasional pink.